Celebrate the Suicide Squad! This Suicide Squad 3-D Figural Key Chain 6-Pack features some of your favorite characters from the popular Suicide Squad movie from DC Comics. 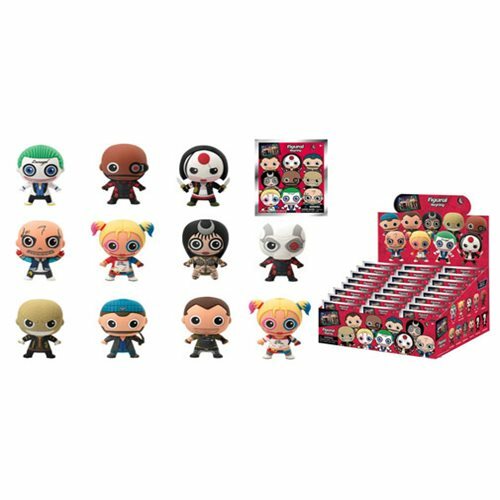 You could get the Joker, Deadshot, Katana, El Diablo, Harley Quinn, Enchantress, Killer Croc, Captain Boomerang, Rick Flag, or special rare chase versions of Deadshot wearing his helmet or Harley Quinn minus her jacket! Ages 4 and up.